Over the years TFA has provided design services for the interior and exterior of the Glen Ellen Restaurant. Recently our clients requested that we assist them in designing lodging facilities for overnight and weekend visitors to this quaint wine country hamlet. TFA responded by creating a grouping of small bed and breakfast cottages set amongst the trees along the banks of a creek on a small site adjacent to the restaurant. 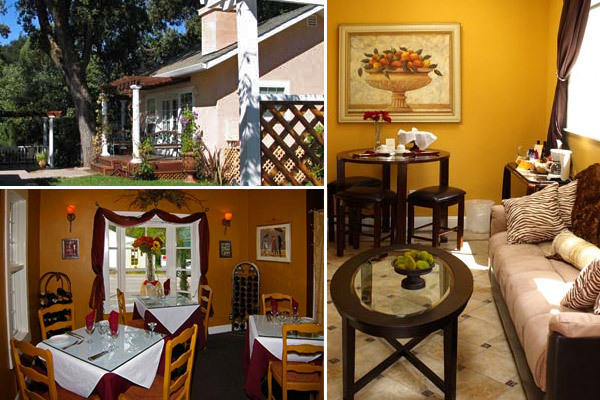 The restaurant and cottages have quiet unassuming exteriors in keeping with Glen Ellen’s rustic and relaxed character. With their creekside setting, fireplaces and Jacuzzi tubs the cottages have provided a romantic getaway and enhanced the restaurant’s appeal and bottom line. The owners’ have aptly named the bed and breakfast the “Secret Cottages”.